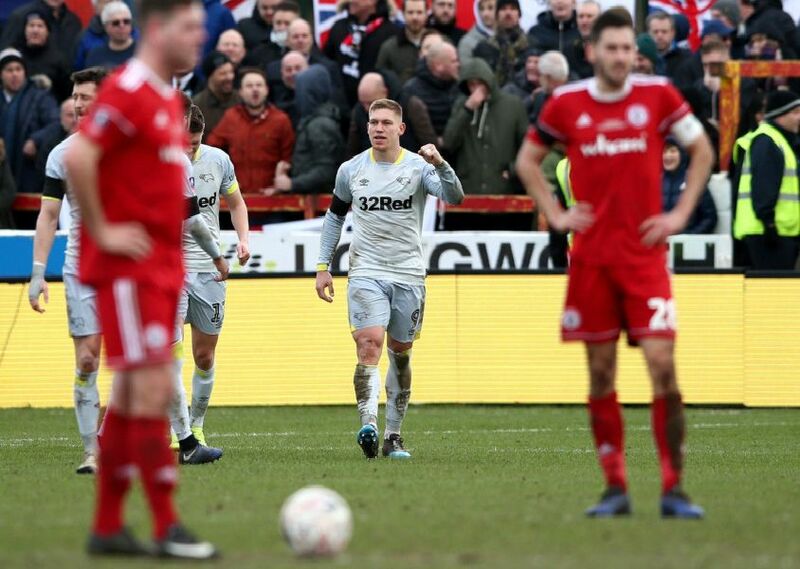 Derby County edged into the fifth round of the FA Cup and avoided a potential banana skin with a 1-0 win at Accrington Stanley. Martyn Waghorn struck 11 minutes from time after good work by Duane Holmes as both sides had a man sent off. Photos by Getty Images. Frank Lampard, manager of Derby County, gives his team instructions during the FA Cup Fourth Round match between Accrington Stanley and Derby County. Frank Lampard applauds the fans. Frank Lampard on the touchline at Wham Stadium. Harry Wilson of Derby County battles for possession with Seamus Conneely of Accrington Stanley.